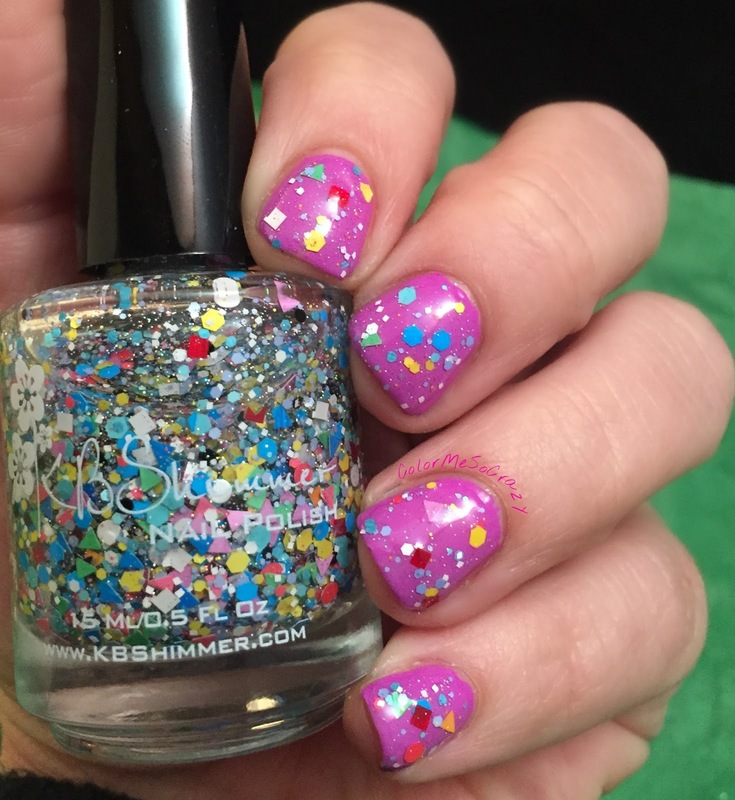 KB Shimmer Winter 2015 Collection Has ALL of the Goods!!! Today, I have something sooooooo good for you! 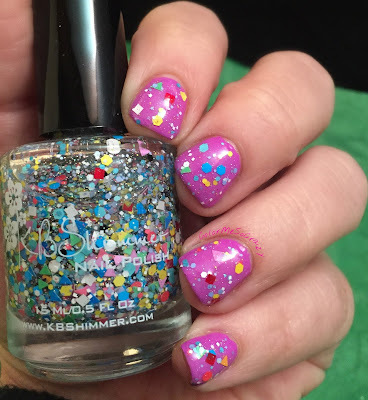 I always love when KB Shimmer comes out with their new collections because she always hits it out of the park. 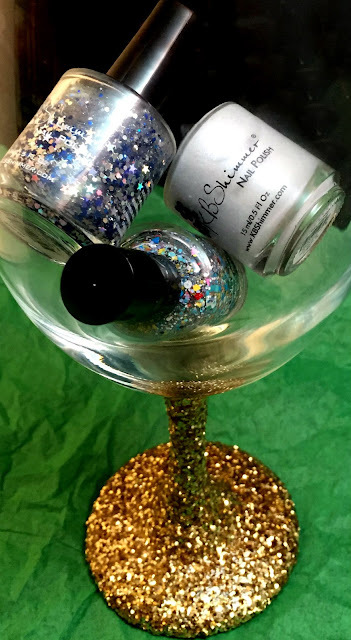 If you have any polish lovers in your family, this is the collection that you want to pick a couple out for their stocking. First up, I have Fleece Navidad. 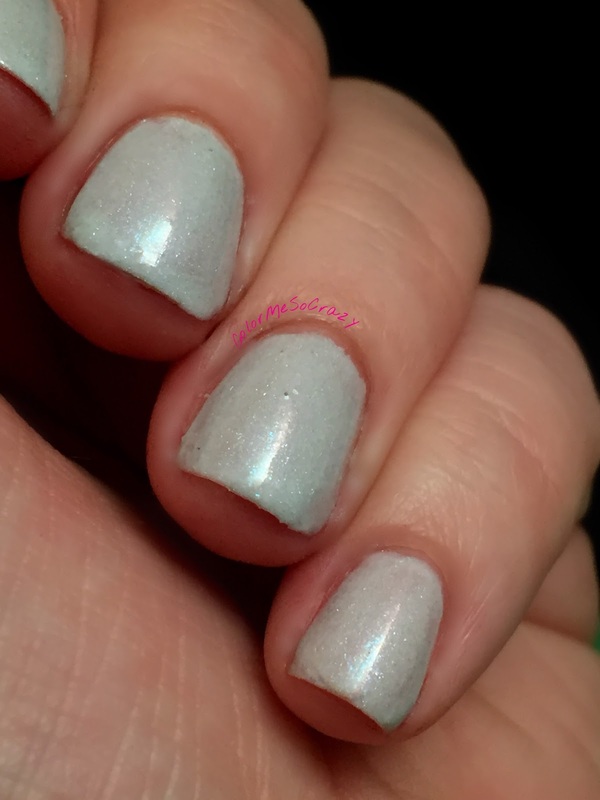 This is a light grey holo with a blue shimmer scattered throughout. The application for this polish is flawless and I used 2 coats for this session. You can have your very own bottle for only $8.75. This is the baby grey holo that I have been searching all over town for so I am super excited that KB came out with this color. Every year I say, "When is someone going to come out with the perfect puffy grey holo?". 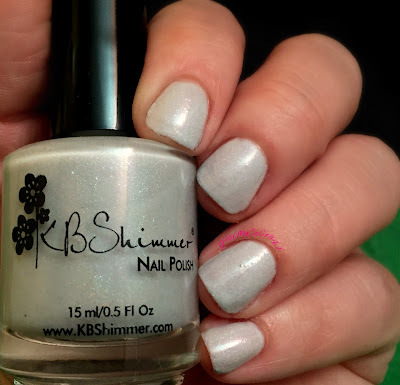 This year KB Shimmer did it! Next up, I have Toying Around over Sarong Place, Sarong Time. This is the 2015 charity polish from KB Shimmer and besides being super fun, $4 from each $8.75 polish goes directly to Toys for Tots! 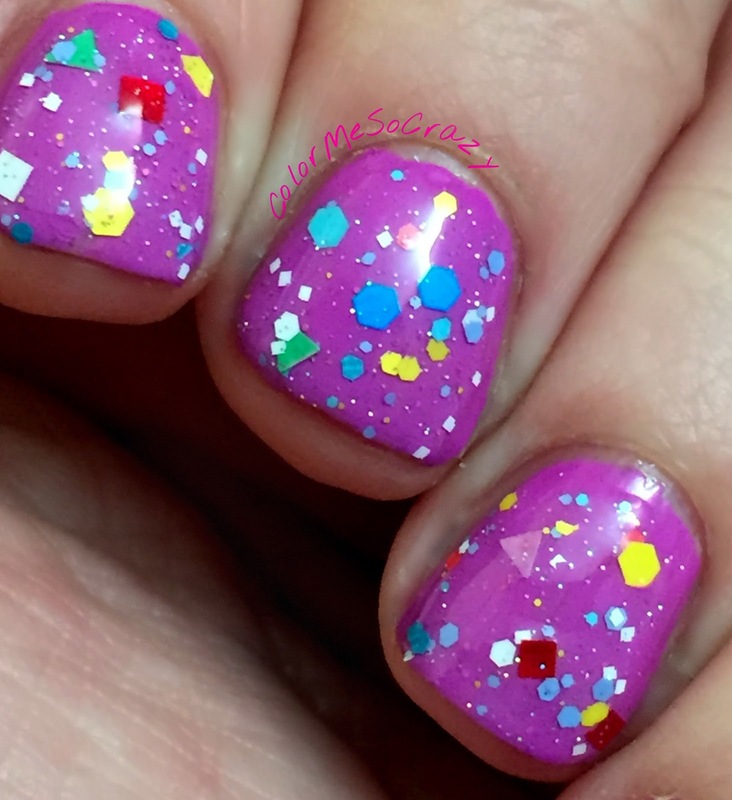 This polish is jammed packed with all sorts of glitter shapes including triangles, hexes, micros, squares and all kinds of fun matte colors. All of these of which toys should be! 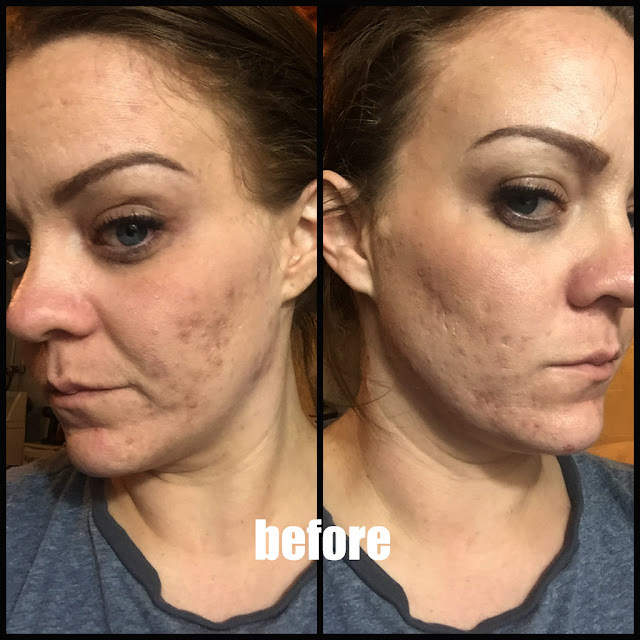 For me, this was super easy to apply. 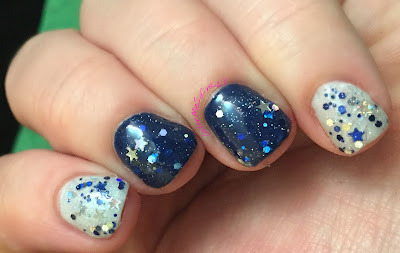 I grabbed a lot of glitter out with each stroke and of course dabbed the bald spots. This is so fun and goes to such a good cause! 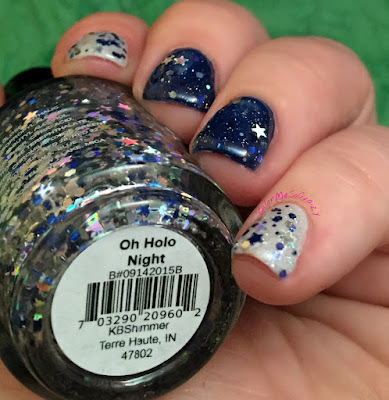 Lastly, I have Oh Holo Night. 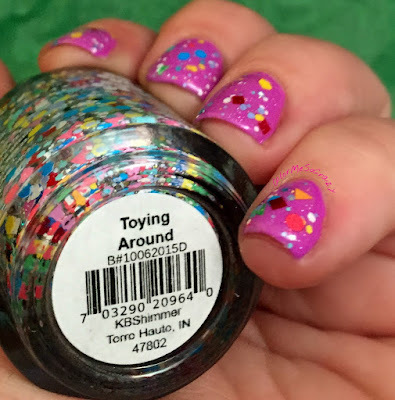 This is a very fun and very pretty glitter topper to round out my trio from the collection. Oh Holo Night is packed with holo stars, hexes and micros all in blue in silver. I just love this color theme. It is perfect for all winter long. 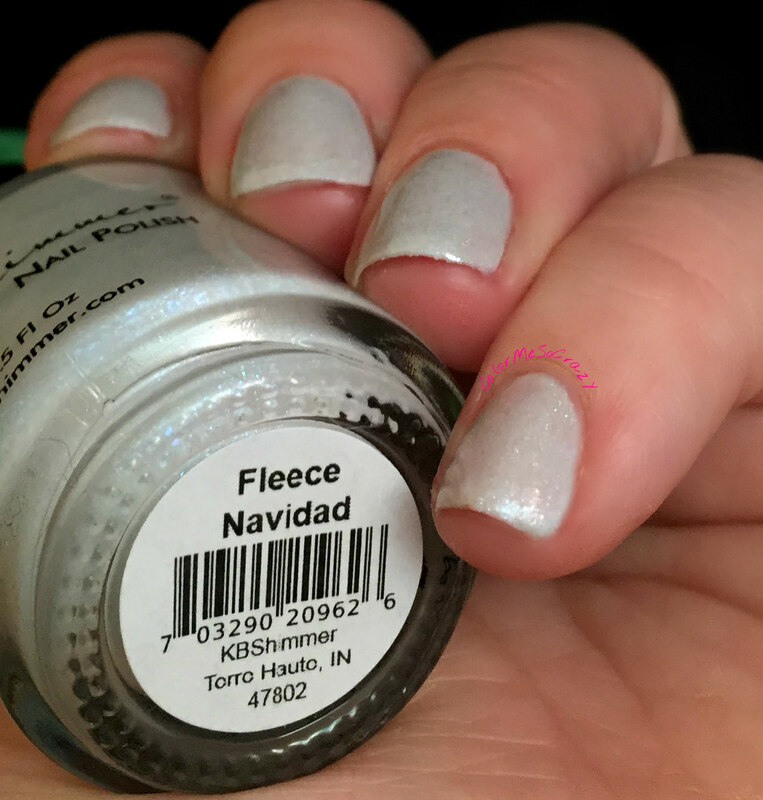 I topped it over a navy blue polish and Fleece Navidad. I love it over both a light and dark color. Once it is layered, it really creates a deep look. Overall, I love this partial collection. The colors are super fun and vibrant. 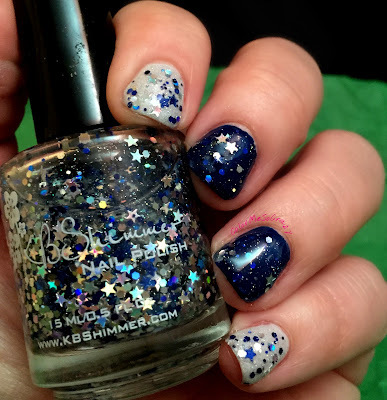 I also love, love that there is a charity polish in this collection. 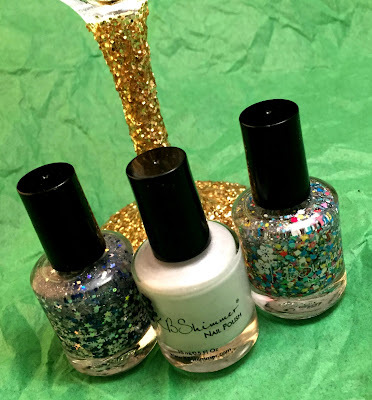 In addition to these three polishes, there are 11 more polishes, lots of water slide decals and a couple mani shots available for the new Winter 2015 Collection. You can check out all of the goodies, here! !